Program and treatment evaluation in the domains of mental health and addiction, with a particular interest for the evaluation of the perspectives of clientele; Development, implementation and evaluation of training programs for staff and peer helpers in addiction and mental health. Chartier-Otis, M., Bélanger, C., Perreault, M., Marchand, A. (2015). Formation de pairs aidants dans le traitement des troubles anxieux, Soins, 792, 21-25. Perreault, M., Julien, D., White, N. D., Rabouin, D., Lauzon, P., & Milton, D. (2015). Psychological Predictors of Retention in a Low-Threshold Methadone Maintenance Treatment for Opioid Addicts: A 1-Year Follow-Up Study. Substance use & misuse, 50(1), 24-31. Perreault, M., Mitchell, E., Touré, E H., Fleury, M.-J., Caron, J. (2014). Typology of sleep medication users and associated mental health and substance use from a Montreal epidemiological study, Journal of Population Therapeutics and Clinical Pharmacology, 21 (2):e233-e245. Perreault, M., Julien, D., White, N. D., Bélanger, C., Marchand, A., Katerelos, T., Milton, D. (2014). Treatment Modality Preferences and Adherence to Group Treatment for Panic Disorder with Agoraphobia, Psychiatric Quarterly, 85 (2): 121-132. Perreault, M., Komaroff, J., Côté, F., Lauzon, P. (2013). L’approche par les pairs dans le domaine de la toxicomanie, Drogues, santé et société, 12(1) : i-vi. Perreault, M., Djemaâ-Samia, M.-T. , Fleury, M.-J., Touré, E H., Mitchell, E., Caron, J. (2013). Facteurs associés à l’exposition élevée aux médicaments psychotropes : étude montréalaise, Santé mentale au Québec, 38 (1): 259-275. Perreault, M., Lafortune, D., Laverdure, A., Chartier-Otis, M., Bélanger, C., Marchand, A., Bouchard, S., Milton D. (2013). Obstacles dans l’accès au traitement rapportés par des personnes aux prises avec un trouble anxieux. Canadian Journal of Psychiatry, 58 (5) : 300-305. Perreault, M., A. Jaimes, Rabouin, D., White, N.D., Milton, D. (2013). A vacation for the homeless: evaluating a collaborative community respite program in Canada through clients' perspectives. Health and Social Care in the Community, 21(2): 159-170. Andrade, M.C.R., Bandeira, M., Perreault, M., Angélico, A.P., de Oliveira, M.S. (2012) The relationship between symptomatic changes and perceived improvement among patients treated in Brazilian community mental health services. Psychiatric Quarterly, 83(3), 1-10. Perreault, M., Rousseau, M., Provencher, H., Roberts, S., Milton, D. (2012). Predictors of Caregiver Satisfaction with Mental Health Services. Community Mental Health Journal, 48(2), 232-237. Brousselle, A., Lamothe, L., Sylvain, C., Foro, A., Perreault, M. (2010). Integrating services for patients with mental health and substance use disorders: What matters? Health Care Management Review, 35(3), 212-223.Perreault, M., Renaud, J., Bourassa, F., Beauchesne, L., Mpiana, A., Bernier, S., Milton, D. (2010). Implementation of a Panel of Service Users for the Evaluation of Mental Health Outpatient Services. Evaluation & the Health Professions, 33 (4) 480-496. Perreault, M., White, N.D., Fabrès, E., Landry, M., Anestin, A.S., Rabouin, D. (2010). Relationship between perceived improvement and treatment satisfaction among clients of a methadone maintenance program. Evaluation and Program Planning, 33(4), 410-417. Michel Perreault, PhD, is a psychologist and researcher at the Douglas Institute since 1986 and an associate professor in the department of psychiatry at McGill University since 1994. His research aims to evaluate services and treatments in psychiatry, with the goal of improving them.  He is a researcher with the Groupe de recherche et intervention sur les substances psychoactives-Québec (RISQ) and at the Centre de réadaptation en dépendance de Montréal – Institut universitaire (CRDM-IU). Working within a clinical environment, Michel Perreault and his team develop projects involving applied research on treatments, organization and evaluation of services in psychiatry and addiction. He is particularly interested in persons having concurrent mental health and substance use disorders and the integration of the services that are intended for them. Since 2002, he is responsible for a cross-training program that aims to improve the functioning of services within a network involving services for mental health and substance use. The program has included over 3000 participants since its beginnings, and is currently being implemented in other regions. He is also one of the initiators of the user panel at the Douglas Institute, which started in 2002. Michel Perreault is also responsible for the evaluation of numerous treatments and programs related to substance use, some of which involve persons with an opioid dependency or users of injectable drugs. He is also interested in the evaluation of interventions led by peer helpers for this clientele and for those having anxiety disorders, in the form of self-treatment groups. L'Espérance N, Bertrand K, Perreault M. Cross-training to work better together with women in Quebec who use substances: care providers' perceptions. Health Soc Care Community. 2017;25(2):505-513. Marshall C, Perreault M, Archambault L, Milton D. Experiences of peer-trainers in a take-home naloxone program: Results from a qualitative study. Int J Drug Policy. 2017;41:19-28. Perreault M, Touré EH, MJ Fleury, Beaulieu S, Caron J.. Development of a Typology of Antidepressant Users: The Role of Mental Health Disorders and Substance Use. J Popul Ther Clin Pharmacol. 2016;23(1):e90-102. MJ Fleury, Grenier G., JM Bamvita, Perreault M, Caron J.. Variables Associated With Perceived Unmet Need for Mental Health Care in a Canadian Epidemiologic Catchment Area. Psychiatr Serv. 2016;67(1):78-85. Dufour M, Nguyen N, Bertrand K, Perreault M, Jutras-Aswad D, Morvannou A, et al. Gambling Problems Among Community Cocaine Users. J Gambl Stud. 2016;32(3):1039-53. Roy É, Arruda N, Bertrand K, Dufour M, Laverdière É, Jutras-Aswad D, et al. Prevalence and correlates of prescription opioid residue injection. Drug Alcohol Depend. 2016;166:69-74. Bélanger C, Courchesne C, Leduc AG, Dugal C, El-Baalbaki G, Marchand A, et al. Predictors of Dropout From Cognitive-Behavioral Group Treatment for Panic Disorder With Agoraphobia: An Exploratory Study. Behav Modif. 2016. Perreault M, Touré EH, Perreault N, Caron J.. Employment Status and Mental Health: Mediating Roles of Social Support and Coping Strategies. Psychiatr Q. 2016. Brochu S., Landry M, Patenaude C, Brunelle N, Bertrand K, MJ Fleury, et al. Les trajectoires d’utilisation des services selon des personnes toxicomanes judiciarisées et des prestataires de services du réseau judiciaire et correctionnel. In: Ressources et Vous . Édition thématique, Société de criminologie du Québec. ; 2016. Brochu S, Landry M, Patenaude C, Brunelle N, Bertrand K, MJ Fleury, et al. La collaboration des services en toxicomanie, point de vue des usagers et des prestataires de services..; 2016. MJ Fleury, Perreault M, Grenier G., Imboua A, Brochu S. Implementing Key Strategies for Successful Network Integration in the Quebec Substance-Use Disorders Programme. Int J Integr Care. 2016;16(1):7. Roy É, Jutras-Aswad D, Bertrand K, Dufour M, Perreault M, Laverdière É, et al. Anxiety, mood disorders and injection risk behaviors among cocaine users: Results from the COSMO study. Am J Addict. 2015;24(7):654-60. MJ Fleury, Grenier G., JM Bamvita, Perreault M, Caron J.. Typology of individuals with substance dependence based on a Montreal longitudinal catchment area study. Adm Policy Ment Health. 2015;42(4):405-19. Chartier-Otis M, Bélanger C, Perreault M, Marchand A. [Training peer supporters in the treatment of anxiety disorders]. Soins. 2015;(792):21-5. Perreault M, Djemaâ-Samia M-, MJ Fleury, Touré E., Mitchell E., Caron J.. Facteurs associés à l’exposition élevée aux médicaments psychotropes identifiés lors d’une étude épidémiologique montréalaise. RISQ; 2015. Brochu S., Landry M, Patenaude C, Brunelle N, Bertrand K, MJ Fleury, et al. Collaboration entre les services offerts aux adultes toxicomanes: Le point de vue des usagers et des prestataires de services.. Web publication; 2015. Perreault M, Bouchard S, Lapalme M, Laverdure A, Audet D, Cusson J-, et al. [Perspective of peer helpers regarding their experience animating a self-treatment program for panic disorders]. Sante Ment Que. 2015;40(1):35-51. Perreault M, Mitchell E, Touré EH, MJ Fleury, Caron J.. Typology of sleep medication users and associated mental health and substance use from a Montreal epidemiological study. J Popul Ther Clin Pharmacol. 2014;21(2):e233-45. MJ Fleury, Grenier G., JM Bamvita, Perreault M, Caron J.. Predictors of alcohol and drug dependence. Can J Psychiatry. 2014;59(4):203-12. MJ Fleury, Grenier G., JM Bamvita, Perreault M, Caron J.. Predictors of alcohol and drug dependence. Abrégé de recherche du RISQ. RISQ; 2014. Perreault M, Djemaâ-Samia M-, MJ Fleury, Touré EH, Mitchell E, Caron J.. [Factors associated with high exposure to psychotropic drugs in a Montreal catchment epidemiological area]. Sante Ment Que. 2013;38(1):259-78. Caron J., MJ Fleury, Perreault M, Crocker AG, Tremblay J, Tousignant M, et al. Prevalence of psychological distress and mental disorders, and use of mental health services in the epidemiological catchment area of Montreal South-West. BMC Psychiatry. 2012;12:183. MJ Fleury, Grenier G., JM Bamvita, Perreault M, Caron J.. Determinants of the utilization of diversified types of professionals for mental health reasons in a Montreal (Canadian) catchment area. Glob J Health Sci. 2012;4(3):13-29. MJ Fleury, Grenier G., JM Bamvita, Perreault M, Kestens Y, Caron J.. Comprehensive determinants of health service utilisation for mental health reasons in a Canadian catchment area. Int J Equity Health. 2012;11:20.